The National Development and Reform Commission of China has released a special notice on the commercial trial and the equipment industrialization of IPv6 on its official website. IPv6, which is also known as the next-generation Internet protocol, is a new Internet protocol version that will replace the existing IPv4. 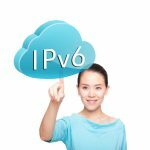 The IPv6 is launched by international Internet researching organizations to meet users ever-increasing demand for IP address resources. 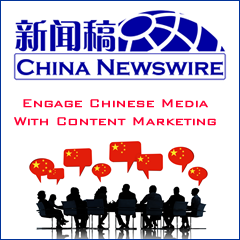 The notice says that to actively promote the application and the industry development of China's next-generation Internet business, a commercial trial of the next-generation Internet business and the equipment industrialization will be organized in accordance with the overall arrangement of the sample project of China's next-generation Internet. The notice emphasizes "vigorously promoting" the commercial trial of IPv6, increasing the trial users of IPv6 to over 500,000 before the end of 2010, actively promoting the transfer of the next-generation Internet from testing to commercial use and fostering a new economic growth point for the healthy development of China's information industry. The NDRC also requires the equipment industrialization of the next-generation Internet in the notice. It says that to support the application and the commercial trial of new technologies, China should realize mass production of key IPv6 equipment with independent intellectual property rights.